The Index opened weak and stayed weak throughout the entire session of trade albeit in a very narrow range of just 25 points and closed the day at 8232.90, loss of 27.65 points. The broader market was negative, with 659 advances to 837 declines. The range for the Expiry weeks stays at 8100-8400. Call option 8250 added 5.43 lacs OI with profit booking seen at 8300 and above strike prices. 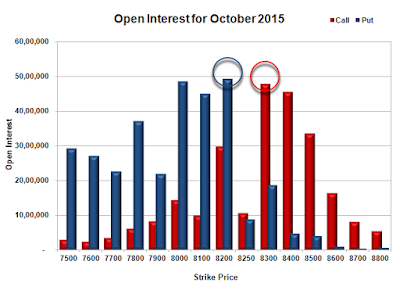 Put option 8250 added 2.31 lacs OI with short covering seen at 8300 and above strike prices. Nifty Open Interest is at 1,51,31,475 down by 17,51,475, whereas Nov series added 26.36 lacs OI with decrease in price, 100% roll-over with huge short build-up. Bank Nifty Open Interest is at 16,52,400 down by 2,73,550, whereas Nov series added 3.33 lacs OI with decrease in price, 100% roll-over with huge short build-up. FII’s sold 1.19 lacs Futures, which includes 29185 contracts long liquidation and 24420 contracts short covering, with decrease in net OI by 53605 contracts includes 167021 longs to 171786 shorts for the day. 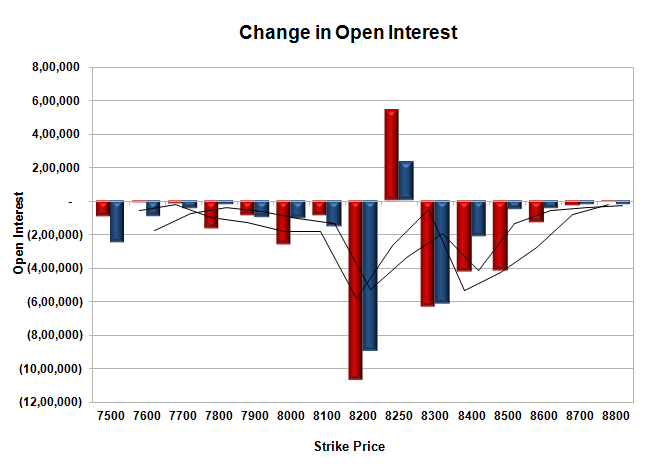 FII’s Index future open contract as on date is 583705 Longs to 311959 Shorts, Net Long 271746 down by 4765 contracts. 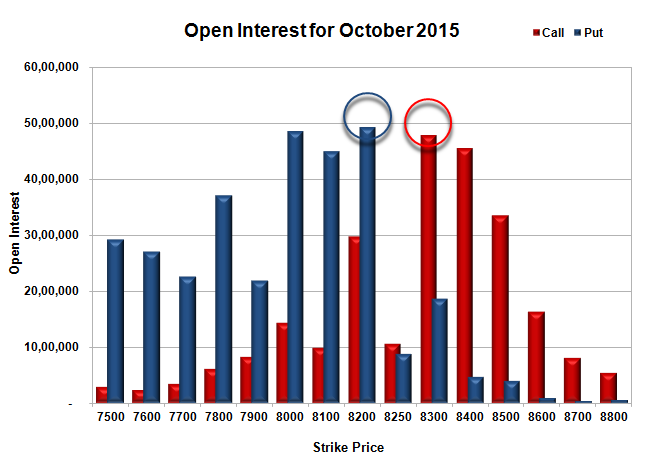 Initial and best support still at 8200, with highest OI of 49.35 lacs and below that at 8100 with OI of 44.95 lacs. Initial and best resistance at 8300, with OI of 45.55 lacs and above that at 8400 with OI of 45.55 lacs. 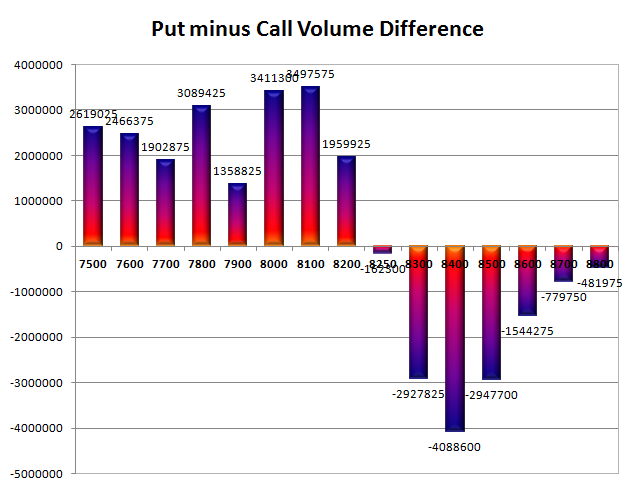 Day Range as per Option Table is 8174 - 8289 and as per VIX is 8162 - 8304 with 8231 as the Pivot.